Population: 3.76 million (2.37 million in the West Bank, 1.39 million in Gaza) plus more than 260 thousand Jewish settlers in the various colonies in the West Bank. 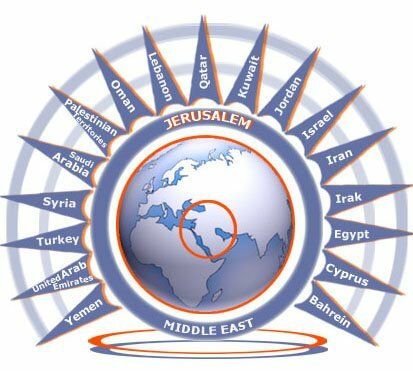 The Territories governed by the Palestinian National Authority are the West Bank and the Gaza Strip. On the 31st July 1988, Jordan renounced every right on the West Bank, thus leaving scope for the aspirations of Palestinians to a Palestinian State. The population is mainly Palestinian, but there have been lately many colonies by Jewish settlers. The Palestinian Authority has a developing political and administrative system, based on a President, chief of the executive, and a Council of Autonomy (Parliament of 88 members, of whom 65 belong to Al Fatah). Since June 2007, the Gaza Strip is under the control of Hamas. A “Basic Agreement"has been signed between the Holy See and the PLO on the 15th February 2000. The first building was done by Constantine in 326. The Basilica was spared in 614 by the Persians hordes who recognised the Persian characteristic vestments of the Wise Kings. The good relations between Latin and Greek Orthodox during the time of the Crusades gave way to more difficult times as from the 17th century. Today, the site is under the joint ownership of the Greek Orthodox, the Armenian Orthodox and the Latin Churches. Next to the Greek choir of the Basilica are the two entrances to the Grotto, rectangular in form, 12 m. by 3 m., and 3m. high. House of Bread in Hebrew, or House of Meat in Arabic, Bethlehem, which has about 35,500 inhabitants, is 10 km. to the South of Jerusalem. In Holy Scripture, it is known as “Bethlehem of Judea", since it belongs to that tribe. David was born there and later anointed king by Prophet Samuel. With the birth of Jesus, the town acquired its present status, attracting numerous pilgrims. In early 19th century, the population was still mainly Christian. For the great Jubilee of 2000, Bethlehem was the centre of the festivities “Bethlehem 2000", with the inauguration of an International Museum of the Nativity, achieved under the aegis of Unesco.